On 11th February 2015, the Bishop of St Albans, the Rt Revd Alan Smith, received an answer to a written question on the Government’s collection of data on forced marriage. 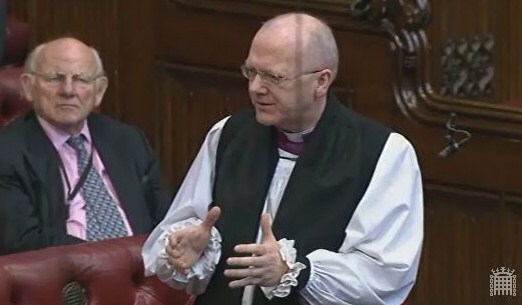 The Lord Bishop of St Albans: To ask Her Majesty’s Government To ask Her Majesty’s Government what plans they have to gather data on the number of girls under the legal age of marriage who had married abroad and have been brought back to the United Kingdom, as part of the work of the Forced Marriage Unit. Baroness Anelay of St John’s – Minister of State (Foreign and Commonwealth Office): The Forced Marriage Unit (FMU) provides a range of support and assistance in cases where British nationals are at risk of forced marriage abroad. In 2013, the FMU gave advice or support related to a possible forced marriage in 1302 cases. Where the age was known, 15% of cases involved victims below 16 years and 25% involved victims aged 16-17. Where a victim is repatriated back to the UK, this is individually recorded on case notes.